Mice that have been engineered to lack a sense of smell lose weight on a high-fat diet, according to a report in today’s issue of Cell Metabolism. The mice ate just as much as counterparts with unaltered senses, yet lost an average of about 16 percent of their body weight. This weight loss was almost entirely from fat. Moreover, it has been found that mice with an enhanced sense of smell gain more weight than mice with typical olfactory abilities, despite similar diets. “There is a known link between food intake and sense of smell,” says Dillin. The researchers also expected the loss of smell to have some effect on feeding. The senses of smell and taste become heightened in anticipation of a meal. After feeding, the senses are dramatically reduced. The change in weight in the mice after the loss of smell however was visibly noticeable. For example, two mice fed the same high-fat diet both became obese. After Dillin’s team eliminated the sense of smell in one of those mice, its weight dropped by about a third; to 33 grams. The other mouse maintained a weight of 49 grams. 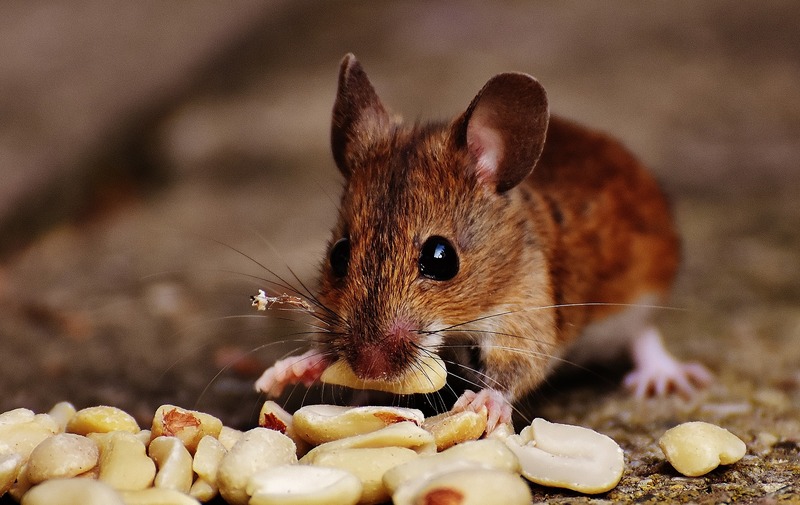 Mice that have been engineered to lack a sense of smell lose weight on a high-fat diet. Wishing to further examine this substantial weight change, a second mouse model lacking a sense of smell was created. The first mouse model was engineered to lose its olfactory sensory neurons, the cells that detect odours and relay the information into the brain, when given a certain drug. Dillin theorised that this process was killing more than just olfactory sensory neurons. In the second mouse model, his team ablated olfactory sensory neurons using an inhaled virus. This produced a similar loss of olfactory sensory neurons, but with a lower chance of affecting cells outside the olfactory system. The results remained the essentially the same, with slightly less weight loss in the second mouse model. Given that most of the weight lost was fat, Dillin and his colleagues carefully examined the changes in fat deposits in the animals. They found that brown fat deposits were actively burning. Moreover, the body’s other form of fat, white fat, was transforming into brown fat and burning. “The mice with no sense of smell had turned on a program to burn fat,” says Dillin. Dillin’s team also discovered high levels of adrenaline in the blood of these animals. The team traced this signal back to the sympathetic nervous system, which under normal circumstances governs the fight-or-flight response as well as responses to extremes, such as cold. Under these stressful conditions, the body energises itself by triggering a release of catecholamines, or adrenaline, which are known to turn on the brown-fat burning program. The team has not yet determined the link between the olfactory sensory neurons and the sympathetic nervous system, but they believe the signalling flows through the hypothalamus. First author Celine Riera, a post-doctoral fellow in Dillin’s lab, plans to tease out this neural signalling pathway in her future research. It is unknown whether or not humans respond similarly to loss of smell. Dillin shared his results with colleague Jens Brüning, Director of the Max Planck Institute for Metabolism Research. Coincidentally, Brüning had created a super-smelling mouse. “It has the opposite phenotype,” says Brüning. These super-smeller mice eat just as much as their control counterparts, but gain even more weight, predominantly body fat. This fat-burning program is off by default, and thus it isn’t clear how an enhanced sense of smell is linked to weight gain.